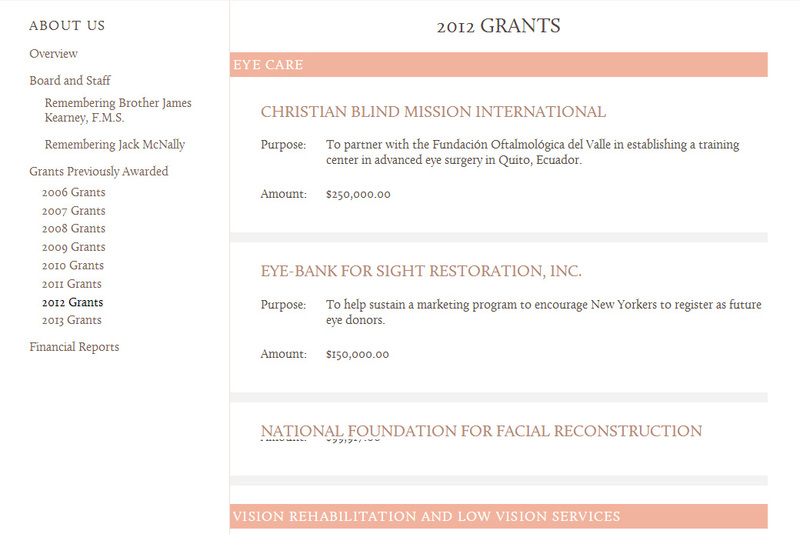 The Lavelle Fund is a NY-area foundation which supports the blind and visually impaired and the institutions and organizations working to prevent vision loss. 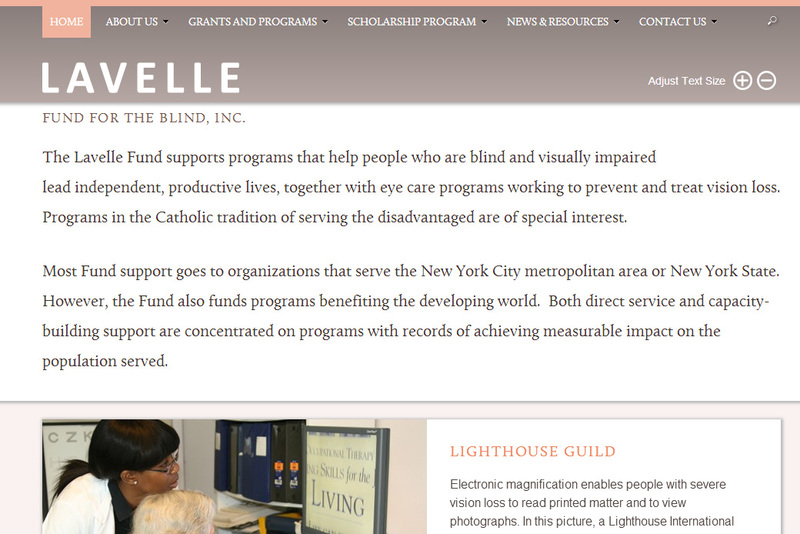 Continuing our work building websites for foundations, we worked closely with Lavelle Fund executive and support staff to completely redesign their website and visual identity. 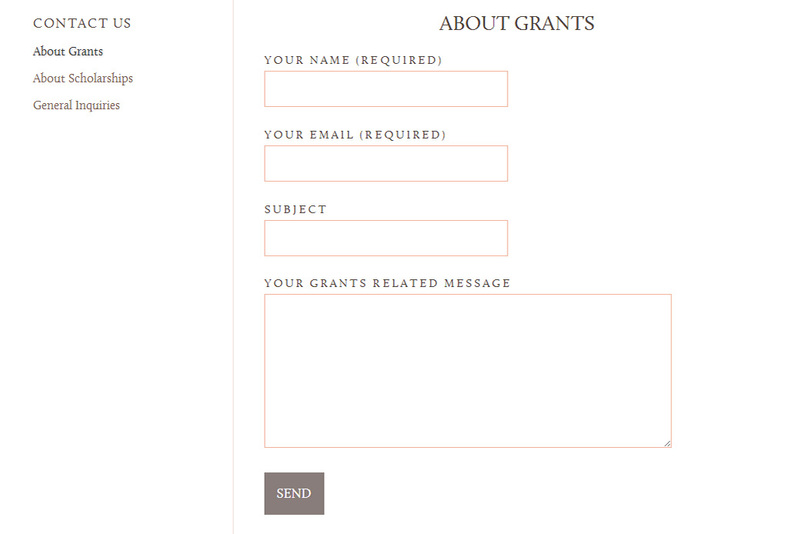 Moving Lavelle from a difficult-to-update, static HTML site to a fully powered CMS, they are now able to update their grants, guidelines, news, updates, and collateral documents and media, in an elegant new site that speaks to their organizational stature. Social Ink always designs sites to be fully compatible and accessible; in this case, we devoted special attention to screenreader support and text-size adjustment.